"Who Says Zombies Can't Act?" 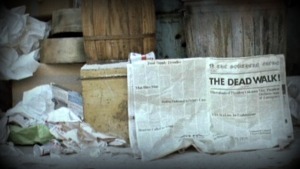 Day of the Dead is the third movie in George Romero's 'of the Dead' series. A small group of military personnel and soldiers are hiding in a bunker underground to escape the zombie hoard that has over run most of the world. While the scientists are busy trying to domesticate or control the zombies the military just wants to blow them all up. With no one able to agree on the best course of action to take, things get out of control when the zombies are set loose inside the 'safe haven' of the military base. I would love to say that this movie was good. I really would, but I can't say it was 'good' I can say that I enjoyed very much the movie, and then that enjoyment would come to a screeching halt when "Rhodes" would enter scene. More on him in a bit. Many of the characters were very flat, and one dimensional for the most part; they were the major detracting roles in the film. I understand that zombie movies are more about slaughtering people and zombies than character development but when Romero spent over three quarters of the movie with barely any zombie action, and just in-fighting among the humans it would have been nice to develop them more in that time. This role, single handed, ruined the movie for me. 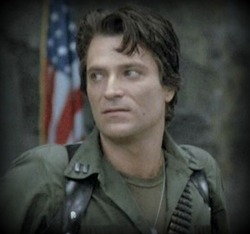 On that note for me the main antagonist of Day of the Dead, and 'guy-in-charge' "Rhodes" (Joseph Pilato) was one of the most god awful bad acting, pieces of crap I have EVER seen in a movie by him. Not that for the most part he has ever been cast in any good movie beyond Pulp Fiction. His attempt at 'angry-fed-up-and-crazy' comes off as simply over dramatic and constant change of tone from yelling to quiet from crazy to not crazy and very calm is not dramatic it is just annoying. He detracted enough from the movie to make me wish that it was over faster. If they would have cast someone other than Joseph Pilato or written it better or something, maybe it would have been better, I don't know. Sarah, played by Lori Cardille (who has done nothing but TV or shorts since) was a very believable and relatable character who simply just did not have a script to work with, but what she had, she ran with. John (Terry Alexander), the helicopter pilot was also amazing with what little he had to work with. Without a doubt the two best performances in the movie were between Logan; nicknamed Dr. Frankenstein and his star pupil 'Bub' the patriotic mostly docile zombie! Bud Has The Same Reaction To Dub-Step That I Do. Before you laugh, let me explain; Dr. Logan (Richard Liberty) thinks that the virus cannot be cured but the zombies can in fact be trained, domesticated so to speak. 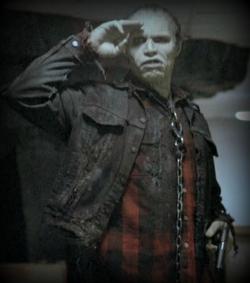 His proof is Bub (Sherman Howard), the once military man, now patriotic zombie. Logan's role is so convincing, as the obsessed doctor but Sherman Howards performance is nothing short of amazing. 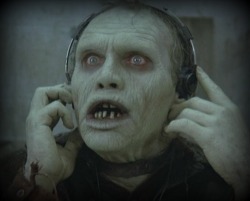 Yes, I know, I am giving 'best actor of the movie' to one of the zombies, but if you were to watch Day of the Dead with honesty, you would too. Day of the Dead is the third in Romero's series, and funny enough it has some special effects that are better than ones he used in later movies; only further indicating to me that in movies like Survival of the Dead, he simply was not even trying anymore, just riding on the laurels of his namesake. While slow to get to the chasing and murdering by zombies, (The last half hour ish of the movie contains that) there is lots of blood and gore around for everyone. Mostly thanks to Dr. Logan, including heads that are still alive, zombies with no insides and plenty of bullets blowing out back of the head goodness. If I put aside the absolutely garbage acting/writing of 'Rhodes' I would have given this movie a solid 7 or 8 as far as 'gore filled zombie dramas' but with Rhodes and the over the top side chars Rickles and Steel, its drops to a measly five. Though, it’s just my personal opinion when it comes to Mr. Pilato's acting in the film; that’s what reviews are, opinion of the writer. As far as zombie films go, its a solid wachable movie, and your going to want it if you are a Romero fan, and to complete your 'of the dead' collection. 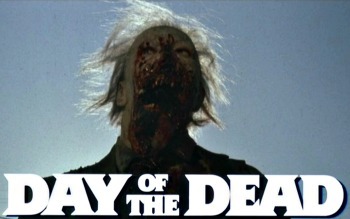 You can Buy Day of the Dead on DvD or it is also available on Blu-Ray for you high-def gore fans.